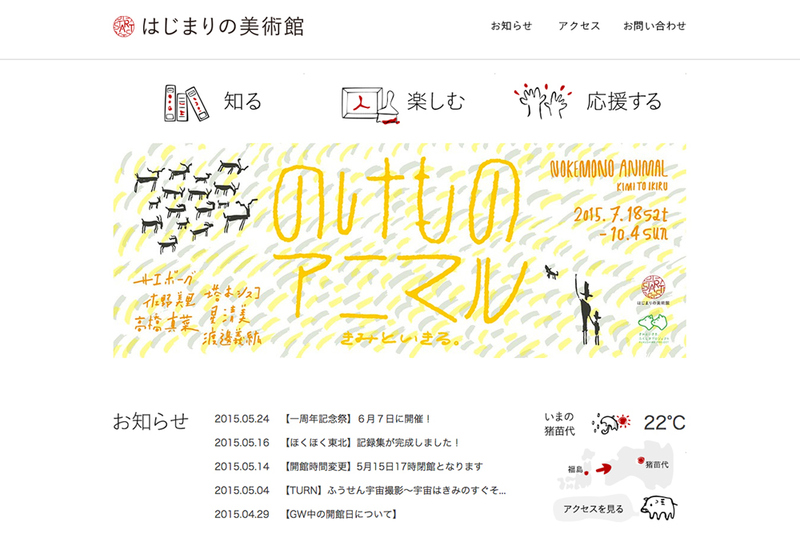 “Nokemono Animal” is an exhibition held at Hajimari no Bijutukan in Fukushima from the 18th of July to the 4th of October 2015. 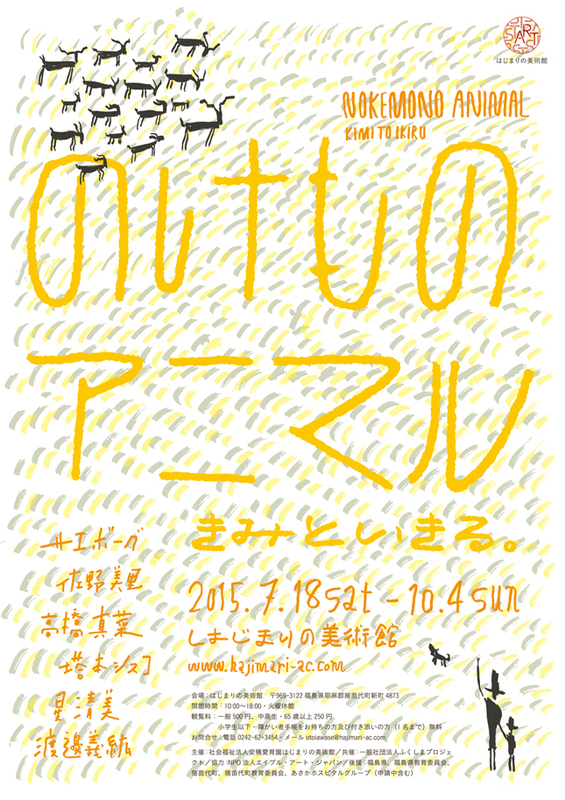 I designed the advertising tools for this exhibition. from the 18th of July to the 4th of October 2015. 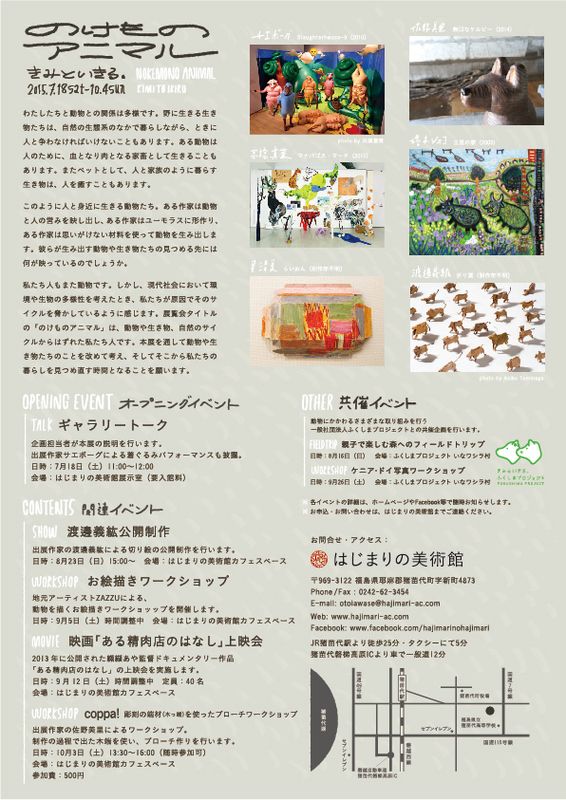 I designed the advertising tools for this exhibition.